As I think more and more on a small kitchen redo, the thought of colored appliances come in mind. 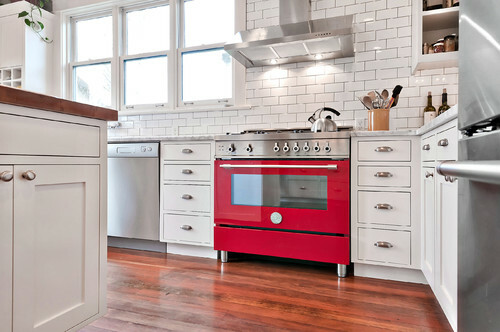 I think adding color on appliances is a huge risk as a re sale stand point, but why not? The trick is to keep your overall kitchen a neutral color, using your appliances as the color pop that it needs. Bellow some ideas on how how color appliances is not such a bad idea. 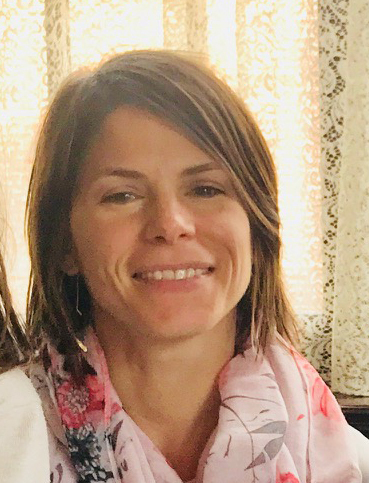 Elise Larson, from “A Beautiful Mess”, went all and above – she dyi’ed her appliances herself using a custom made vinyl. 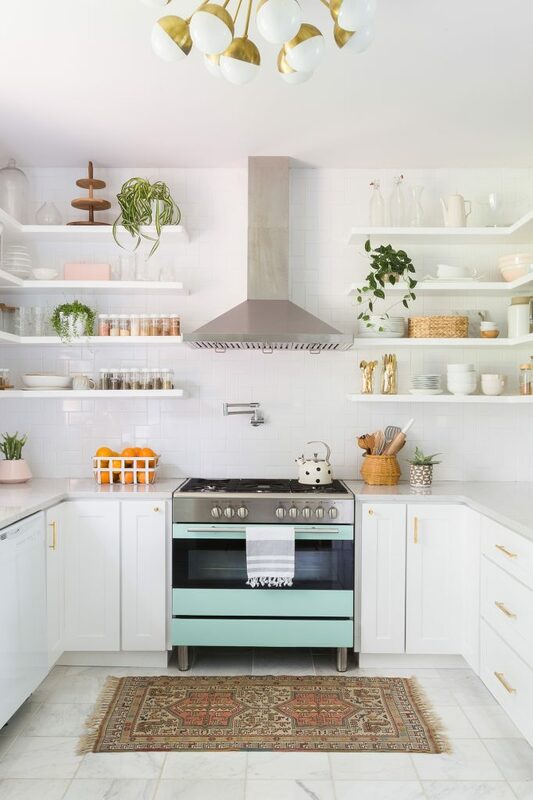 You can also mix-match the colors, as seen below – green stove and white refrigerator. Here not only a color was added but also a style – traditional stove with vintage refrigerator! Orange is one of my favorite colors. 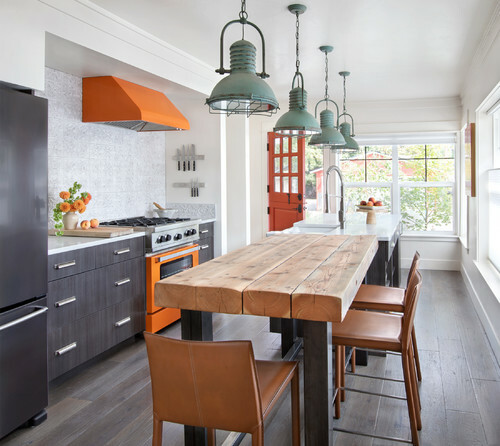 Notice this kitchen uses earth tone elements, to neutralize the orange stove. 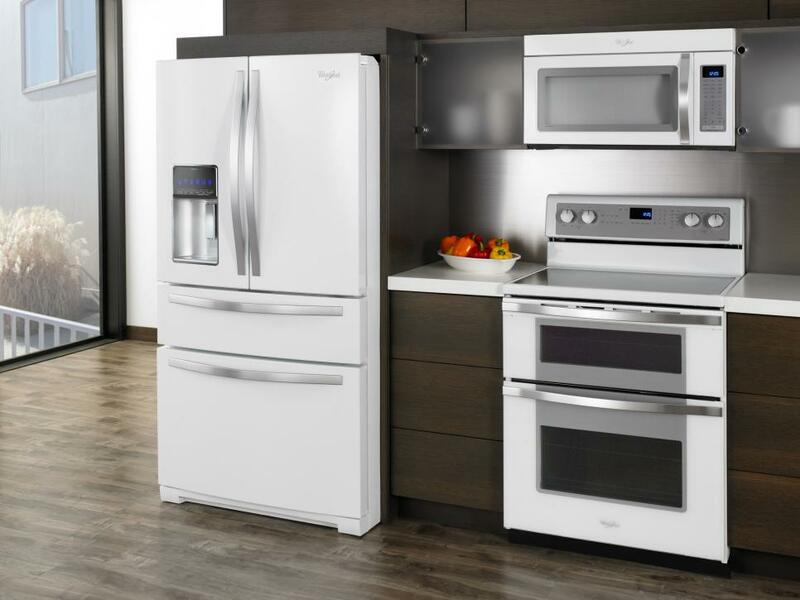 Another option is to use an appliance to add a pop of color but keep the remaining ones stainless steel. White is also a color! Re-image the traditional white in appliances. If it is in your plans to buy a new appliance, think out of the box and be bold! Who knows? You might end up setting a trend here!